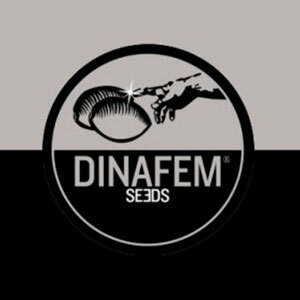 Dinamed CBD Autoflowering is a feminised and autoflowering cannabis seed conceived as the quick version of Dinamed CBD, the first CBD pure strain in history with approximately 14% cannabidiol, developed by our team of breeders in 2017. With almost no psychoactive effects, THC levels lower than 1% and multiple therapeutic properties derived from her high CBD content, this strain was created for medical purposes. However, when marketed, we found out that not only therapeutic patients but also recreational users loved this plant that smells and tastes of marijuana but doesn't get you high in the traditional sense. That's why we have decided to release a far quicker and easier-to-cultivate version of Dinamed CBD: an amazing autoflowering to bring CBD closer to all kinds of growers. Dinamed CBD Autoflowering is a cannabis seed that turns into a mid-sized, compact and bushy marijuana plant. She presents broad and serrated leaflets, as well as short internodes. At first glance at least. Indoors, she could reach 110 cm in height, while outdoors, in optimal conditions, she’ll grow no more than 1 metre. For all these reasons, she makes a marvellous choice for growing in small spaces or for when discretion is a priority. A city balcony or a small space in the house should be enough for this plant to show her full potential in less than 70 days. Dinamed CBD Autoflowering produces incredibly rich crops with 14 % CBD and THC levels lower than 1 %. Like most autoflowerings, this strain is not famous for the great deal of flowers she produces because she is indeed smaller than photoperiod plants. However, each plant can produce up to 100 g of dry weed, which is quite an achievement if we remember than she only needs 2 months from germination. So this strain is the clear example of how sometimes the best things come in small packages: no matter her yield being lower than some feminised genetics’; we won’t find higher levels of this cannabinoid in any other seed of our catalogue. 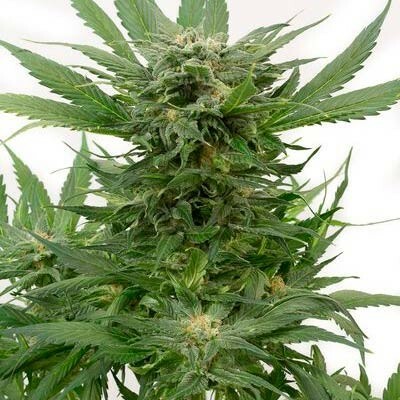 Dinamed CBD Autoflowering hides a very nice surprise when it comes to her tastes and aromas. While most cannabidiol-rich strains showcase subtly orangey undertones, this cannabis plant is highly fruity. More sweet than citrusy. 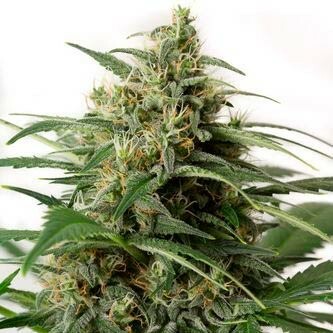 The effect of Dinamed CBD Autoflowering on our organism is what makes this strain so special because her almost 14 % CBD levels are indeed very high and this, of course, has some extraordinary consequences. In order to understand what this strain is capable of, it’s necessary to draw a distinction between two types of consumers: therapeutic and recreational. Therapeutic users: if you need CBD to alleviate certain ailments (spasticity, anxiety, spasms…), this strain has the high cannabidiol levels you’re looking for. Consuming Dinamed CBD Autoflowering by combustion may not be the most suitable method, though. We recommend alternative methods such as via vaporisation or with oil extracts or ointments made from those therapeutically valuable flowers. 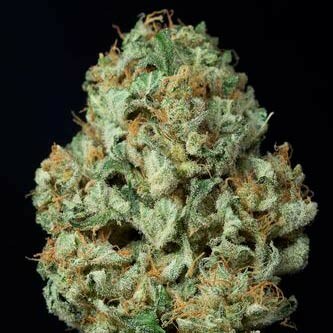 Recreational users: if you love consuming cannabis but its psychoactive effects stop you from doing so, don’t worry because this strain has all the amazing traits you are looking for but without the negative effects you’re escaping from. Because she does smell like marijuana and she does taste like marijuana, but you won't get high like with traditional marijuana. Plus her effect is relaxing; a soothing and anxiolytic effect that doesn’t alter your senses nor prevent you from successfully carrying out your daily chores. It won’t leave you feeling tired either. Here lies the main advantage of Dinamed CBD Autoflowering over Dinamed CBD. She’s super easy to grow: she’s far less demanding than her predecessor and much quicker than Dinamed CBD. As long as she receives enough direct light, the pot she’s being grown in is sufficiently big (we recommend using pots of at least 7 L) and she’s continuously watered and fertilised, this high-cannabidiol plant will provide amazing results. Due to her short 60-70-day life cycle, she can be harvested in summer (germinate by the end of May in the northern hemisphere). Fertilise frequently: she doesn’t need lots of nutrients but the frequency has to be high. Should we underfeed her, she’ll turn yellowish. Direct light: despite knowing for sure she’ll flower regardless of the photoperiod, providing her with direct light from the 3rd week onwards will make for a more vigorous vegetative growth and the quality of the buds during the flowering will also improve.